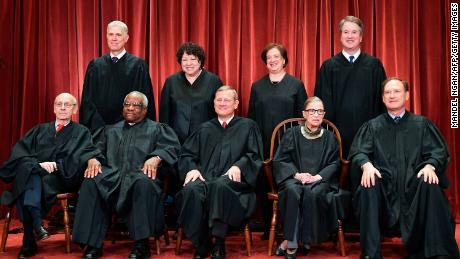 A federal appeals court upheld the law last fall but in February, Chief Justice John Roberts sided with his four liberal colleagues to put the law on hold until all nine justices could consider whether to take up the case. The law requires doctors to have admitting privileges at a hospital within 30 miles of the facility where the abortion is performed. It is almost identical to a Texas law that the Supreme Court struck down in 2016. But that was when there were only eight justices, including Justice Anthony Kennedy, who retired last year. Since that decision, Neil Gorsuch and Brett Kavanaugh have joined the bench, and emboldened conservative states and anti-abortion rights interest groups who are hopeful that they will vote to further restrict abortion rights. The new petition comes as the justices have also been considering — for weeks — whether to revive a challenge to an Indiana abortion law that has never been allowed to go into effect. 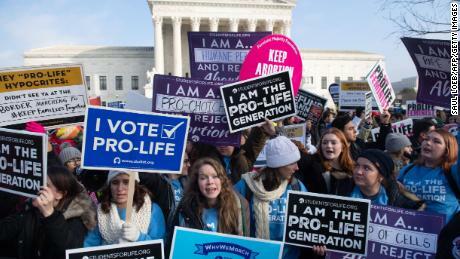 Nancy Northup, president of the Center for Reproductive Rights, whose group filed Wednesday’s petition, told reporters that the Louisiana law was “modeled after” the Texas law and that the 5th US Circuit Court of Appeals “blatantly disregarded” Supreme Court precedent in upholding it. In its petition, the group asked the court to either take up the case for next term, or simply reverse the appeals court opinion without holding oral arguments. Critics of the law fear that although Roberts took their side on the emergency stay, he may not rule the same way if the full case is before him and the conservatives have the opportunity, through a reasoned opinion, to distinguish the Louisiana law from the 2016 ruling. About 10,000 women a year seek abortions in the state, and the challengers had shown that if the law were to go into effect, only one physician would be able to provide abortions in the state, he said. Louisiana appealed the case to the 5th Circuit, which had previously also upheld the Texas law before the Supreme Court reversed it. As a part of its reasoning, the majority rejected deGravelles’ finding that abortion providers in the state had made a “good faith” effort to get the necessary admitting privileges. Instead, they said that “the vast majority largely sat on their hands, assuming they would not qualify.” The majority held that the law would not “impose a substantial burden on a large fraction of women” and that admitting privileges in Louisiana are easier to obtain because the state is less stringent in its requirements. Louisiana has already stated that if the justices allow the law to go into effect, the state would begin a 45-day “transition” period to review how it would impact the clinics.